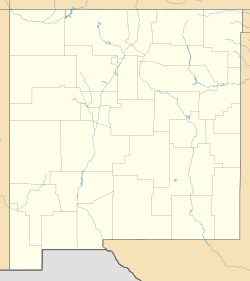 Fairacres is a census-designated place and unincorporated community in Doña Ana County, New Mexico, United States. 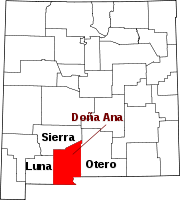 Its population was 824 as of the 2010 census. Fairacres has a post office with ZIP code 88033, which opened on June 15, 1926. U.S. Route 70 passes through the community. ^ "Fairacres". Geographic Names Information System. United States Geological Survey. ^ "Postmaster Finder - Post Offices by ZIP Code". United States Postal Service. Retrieved March 4, 2014. ^ Hinojosa, Alex (2014-08-16). "Barbara Funkhouser, former El Paso Times editor, dies at 84". El Paso Times. Archived from the original on 2014-09-21. Retrieved 2014-09-21. This page was last edited on 14 January 2018, at 22:42 (UTC).